Step inside the scaffolding at the James Brice House and discover preservation in progress both inside and out of this architectural gem! 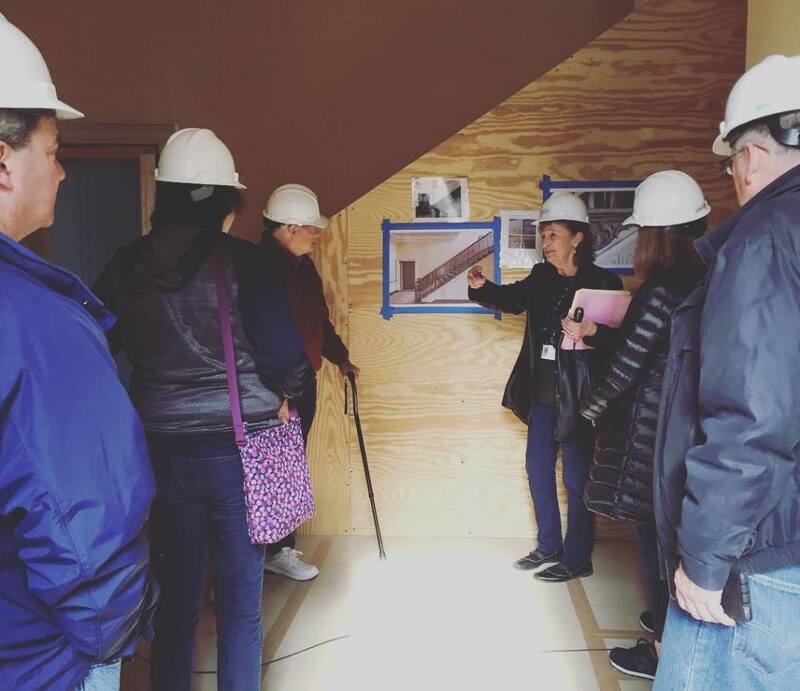 Take a first-hand look at new and unexpected findings on a Hard Hat tour. Follow the work of the highly-skilled craftspeople working on this restoration project of a lifetime and learn more about the history of this special house. Hard hats will be provided and must be worn at all times. Visitors must wear closed toed shoesno sandals. Visitors under the age of 16 must be accompanied by a participating adult (on a 1:1 ratio). This tour is not appropriate for children. No baby carriers or strollers are allowed. The tour will be both indoors and outdoors. The house will have limited heat, so please dress appropriately for your own comfort.